If pants were brains, this guy would be a genius! He had it right in Elementary School. Too bad he never outgrew it. 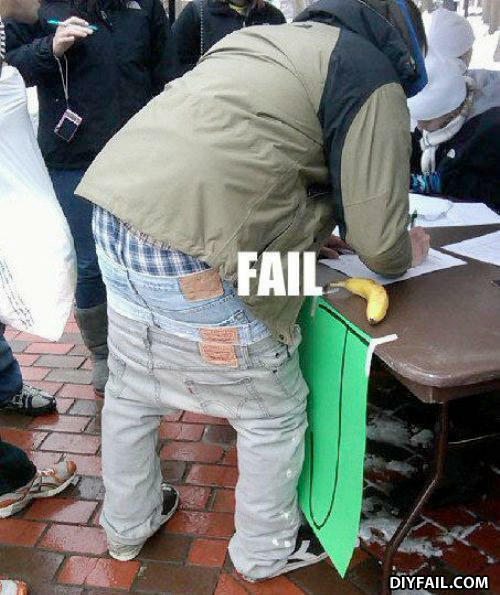 What I wanna know is in which pocket does he put the banana! Because falling over ONE pair of pants to look like a retard wasn't enough he has THREE!!! At least he's got boxers on! He's a nevernude. There are dozens of us... DOZENS, I SAY! Whats worse than 20 dead babies in a garbage can?